Hurry! This duvet won't be around forever - once it's gone, it's gone! 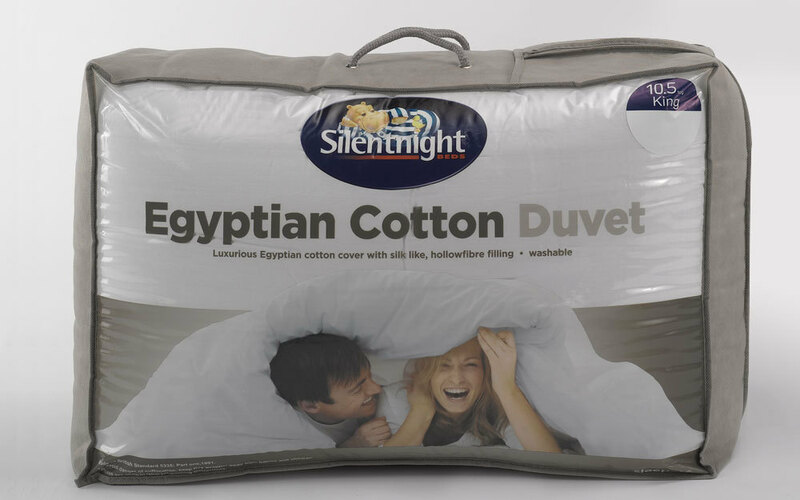 The Silentnight 13.5 Tog Winter Egyptian Cotton Duvet provides all the warmth you'll need over those chilly Winter months. Featuring a silky hollowfibre filling, covered with a cream-of-the-crop Egyptian Cotton cover, you can indulge in luxury comfort night after night. Lighter and stronger than standard cotton, Egyptian Cotton is a superior luxury fabric that offers softness and remarkable comfort. The duvet is washable for a cleaner, healthier sleeping environment. If you're looking for a slightly cooler-feeling duvet, perhaps for the Autumn or Spring months, why not check out our Silentnight 10.5 Tog Egyptian Cotton Duvet for a more mid-weight feel. I have to be honest here, the exact same duvet is £20.00 cheaper elsewhere and unfortunately I didn't price check first. I was expecting a better quality duvet for the money. I'm going to purchase a Dorma duvet which is what I should have done in the first place. I ordered this Silentnight duvet because of the good reviews and for convenience at the same time as ordering my mattress. I'll use it as a spare. I don't like giving negative reviews, but I'm disappointed with it and have to be honest. I wouldn't recommend this duvet. It isn't worth the money. It's quite thin and appears to be of a cheap quality. It's also too small for my Kingsize duvet cover. Quite firm so took a few dats to get used to mattress . Less back ache now.